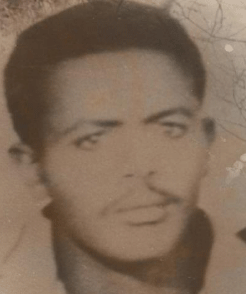 Eritrea (MNN) ― Another Christian behind bars for his faith died while in the Mitire Military Confinement Camp in Eritrea. 43-year-old Yemane Kahasay Andom died six days ago and reportedly is secretly buried in the camp. Jerry Dykstra with Open Doors USA reports, "He was suffering from a severe case of malaria. He allegedly was further weakened by continuous physical torture he received while in solitary confinement in an underground cell for the last two weeks" for refusing to sign a recantation form. Andom is the third known Christian to die this year at this camp, located in northeastern Eritrea, and the ninth in Eritrean detention centers. He was hunted down in the government's effort to stamp out a growing church. "Many of these Christians who have been imprisoned for their faith (we put it at 2800) have refused to recant their faith in Jesus Christ, and that is a tremendous witness." "What is happening regarding the persecution of evangelicals in this small country in eastern Africa is a disgrace," says Open Doors USA President/CEO Carl Moeller. "There is no legal recourse for those Christians who have been tossed into prison camps. Many of them face torture and death, as with Andom and others. Many of them continue to keep their faith under tremendous pressure. Please join me in prayer for those still in prison camps." Worse, Christians in Eritrea have reported that the government has taken a turn in their tactics to suppress the evangelical faith in the country. Open Doors released new information found in a letter smuggled out of a place of detention. In it, incarcerated Christians say interrogators are trying to force Christian prisoners to admit that their churches have been participating in work for the CIA on behalf of the United States government. Christians in Eritrea explain that if the imprisoned believers give in to this pressure, they may be forced to testify against their church associations in a military court. A guilty verdict in this court could have severe implications for the church associations. Although the government has legalized worship inside the Lutheran, Catholic and Orthodox churches, there have been instances of persecution against followers from all three groups. Dykstra urges solidarity with these believers. "Pray for them that they may stand strong in their faith. Wherever Christians are imprisoned or under persecution, Open Doors is there to support them."